Alice Garland was born and raised in the dry panhandle of west Texas. However, a move to beautiful Washington State with her family in 1986 sparked her interest in photography. Curiosity was heightened with a wildlife safari to Kenya and Tanzania which launched her own professional photography career. Alice has since traveled to the Russian Far East, China, Alaska, Antarctica, and Manitoba, Canada to photograph grizzly bears, bald eagles, penguins, and polar bears. 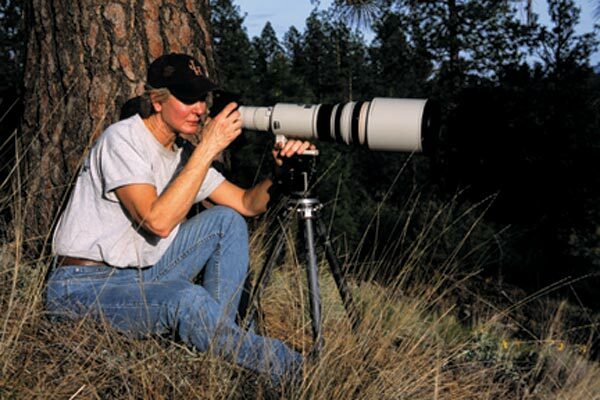 She has slept in a blind in Wyoming for many nights to photograph golden eagles on a nest. Her love of wildlife and nature in general drives her passion. The tiger has drawn Alice to India and the parks of Ranthambhore and Bandhavgarh numerous times. 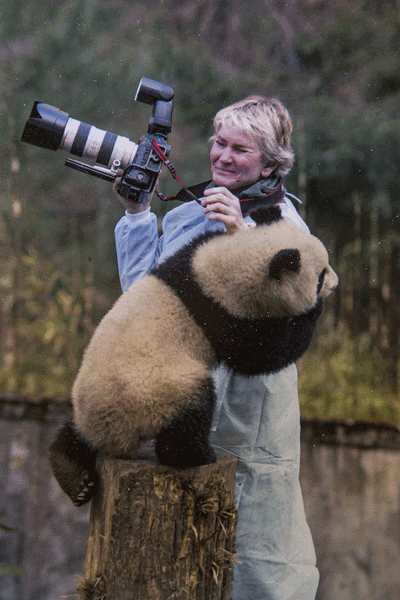 It is her favorite species to watch and photograph. A famous tigress Machali, also named Lady of the Lake was the first wild tiger she had ever seen. Alice watched the tigress make a kill and carry it to her two cubs on the first trip in 2005. From then on she was hooked on the beautiful cats. She continues to travel to India and do what she can to ensure this endangered species lives in the wild for future generations to enjoy. I believe that one’s dedication will be apparent in their endeavors. Capturing a great image without disturbing the subject is my highest priority, so that others can enjoy what I experience. Many of the species I photograph are endangered and human activity is encroaching on their habitat. We need to learn much more about these creatures, so we can change our destructive habits which may eventually lead to their extinction. Alice’s photos have won numerous awards and have been published in magazines and calendars such as Audubon and Inner Reflections Calendars, Nature’s Best Magazine and Nature Photography, and Outdoor Photography Magazine.